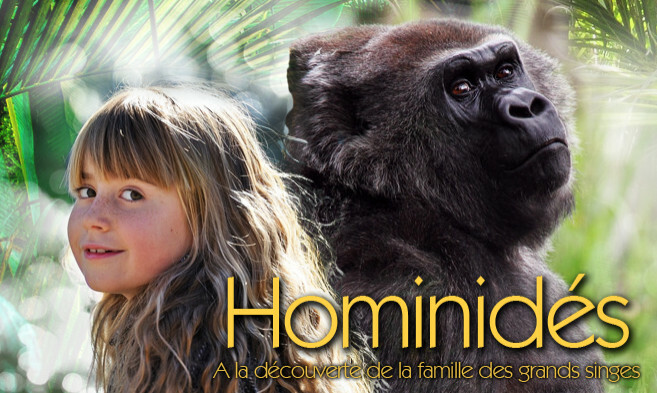 This tool, which is made in collaboration with the Jane Goodall Institute, is meant for senior pupils from primary and secondary schools to discover the family of the Hominidae, usually called the great apes. The scientific explanations and detailed presentations make it possible for pupils to discover this family which we make part of ourselves. It is not obvious for everyone to realize that we – human beings – are great apes. It is scientifically unquestionable we make part of the Hominidae as the chimpanzees, bonobos, gorillas and orangs outans. Go here for a discovery of the great apes.